First of all, many thanks to those of you who have already filled out your parent survey–a high rate of return on these surveys has a real impact on our school’s annual “Progress Report,” and gives us a lot of information about where things at EVCS are working well, and where they need improvement. RIGHT SURVEY, WRONG LETTER: A few of you have brought to my attention the fact that the letter accompanying the survey is directed to parents of 6th-12th grades students! Indeed, the wrong letter was appended to our schools’ surveys. But the survey honchos at the DOE have informed us that the survey is the same for all schools, regardless of the grade level. So as long as your child’s name is on the survey material, please go ahead and fill it out! We invite you to donate gently used books for ages 4-11 (no baby books, please, but age-appropriate board books ok). Collection in yard and lobby at drop-off and pick-up. Book Sale begins Monday, March 18. All donated books will be on sale in front of lobby doors. Come get great books at a great price and support the EVCS Parent Association. Look for materials in your child’s backpack on Monday, March 18. We will be running two different types of safety drills in our building over the next week and a half. We want you to be aware of what will happen so you can help answer questions or allay concerns your children might have. This Thursday afternoon (3/14) we will run a “Shelter-in” drill, and next Friday (3/22) we will run a “lockdown” drill. EVCS READ-A-THON! The kick-off for the EVCS Read-a-thon is this coming Monday, March 18. Every child in our school will be given a packet containing an explanation letter, a sponsor sheet/reading log, a bookmark, some stickers, etc. BOOK SALE! Got great kids’ books you’d like to get out of your apartment? This Friday, March 15, you can drop off your donations of gently used books for kids ages 4 to 11 in the yard and lobby. Please, no baby books, board books, or books for adults. Books will be for sale ($1 for paperbacks, $2 for hardbacks) next Monday, Tuesday and Weds (3/18-20). All proceeds will go to enrichment programs funded by the EVCS PA. 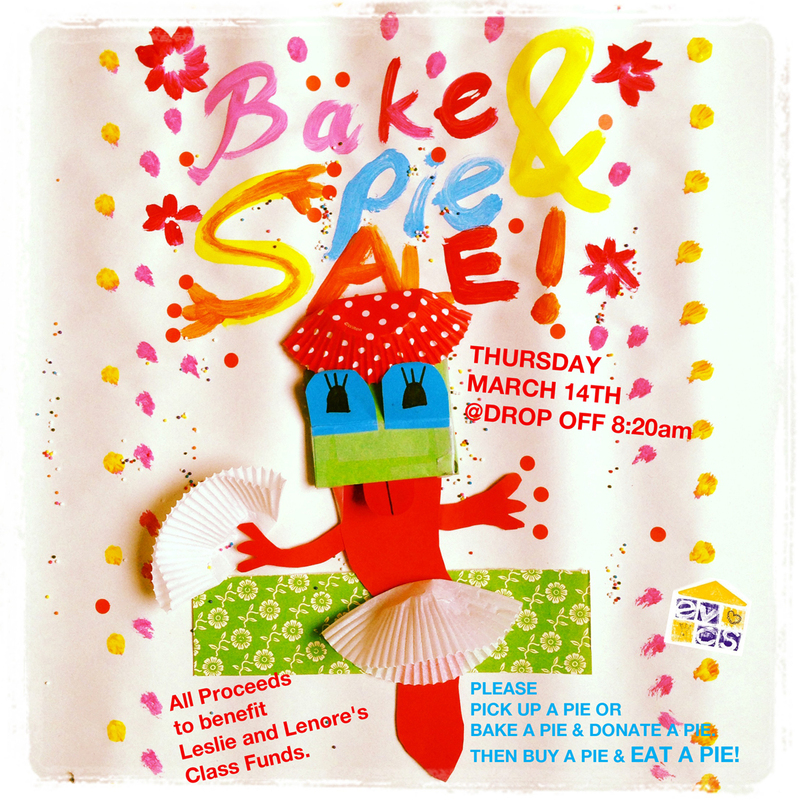 Proceeds to benefit Leslie & Lenore’s class funds. The 100th Anniversary of our school’s building offers lots of opportunities to celebrate and learn, connecting our families to the many who have come through these halls before us. This Tuesday after drop-off at Ost Cafe (12th and A). Everyone is invited. If you have any questions, call Jason McDonald at 646-298-9292.